Sahastra Baahu Temple Nagda about 22 km from Udaipur is also known as Saas Bahu Ka Mandir, a twin Vaishnav Mandir, here are group of temples of early 7th century, dedicated to lord Vishnu, there use to be a town in the East of this temple, in 15th Century the Gohila King Mokala constructed a lake ( Baghela Talav) after his brother’s name Bagh Singh and town was relocated . 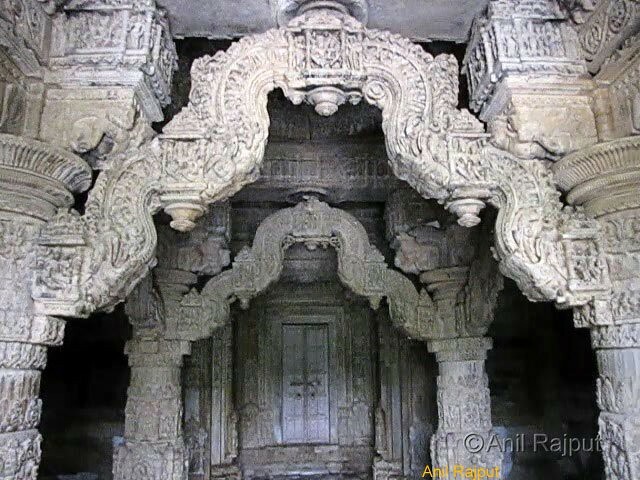 This temple is no more in use , it is in partial ruins, tourists main attraction is of it’s architecture and rare artistic beauty of carvings of more than thousand years ago. 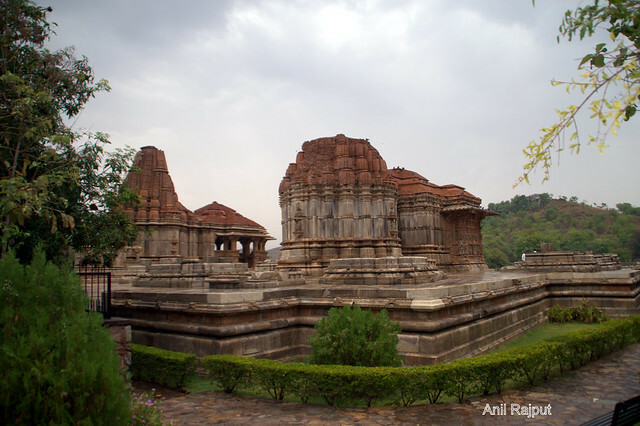 The Twin temple are on a raised platform , The entrance use to be from east through a Makar Torna ( arched gate), there are ten small temples around the large temple The Vishnu Temple, built by Yasomati, wife of the commander in chief of the Mewar rulers ( Saas or Mother-in-Law) and five small temples around the small ( Bahu or Daughter-in-Law) temple. 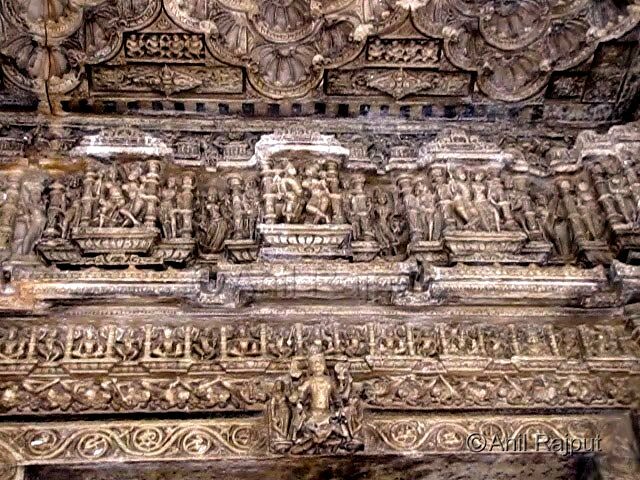 The Saas temple is large and Bahu temple is small , The Bahu temple has the Octagon ceiling, there are eight female figures, the Saas temple has the Torna , the walls are not much decorated but pillars , roof and projections are full of carvings. 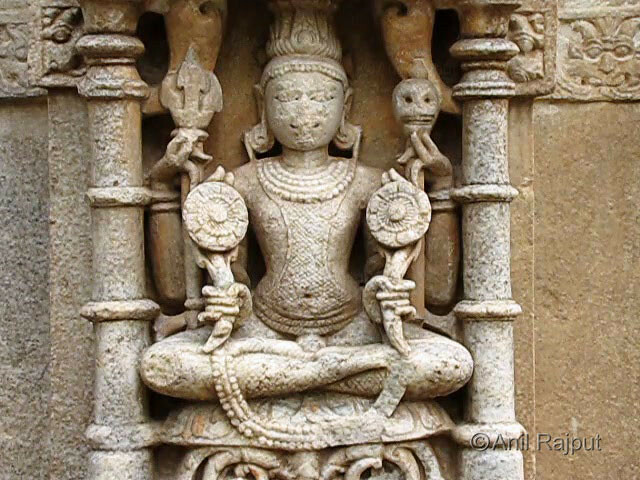 Temples are constructed on “Pancharatha” plan , The Garbhagriha, Antryalaya, Ardhmandapm, Mandapam and Varandha ( Sanctum, Vestibule, Hall and Porch ). 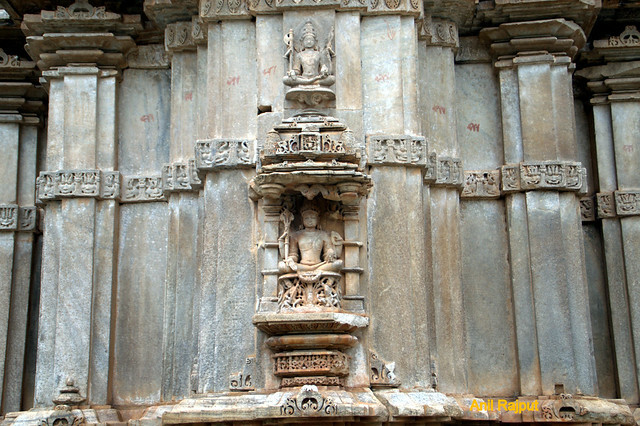 Kirtimukha is at the main entrance of temple. 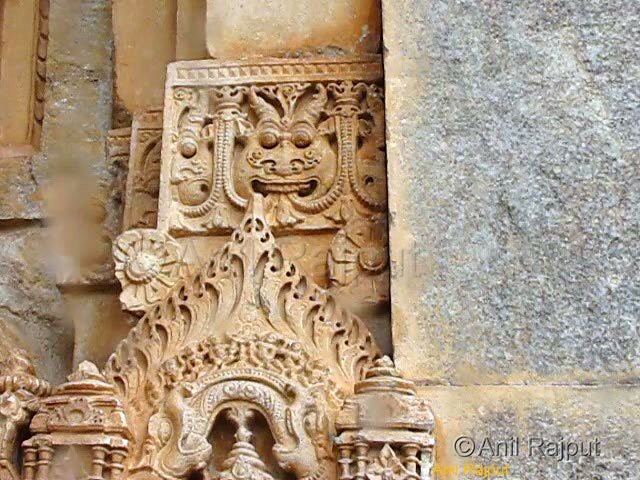 The outer walls are decorated with carvings of people in their daily life work, inlaid work are remarkable , lady playing with child, churning curd, potter making pots, elephant punishing a culprit etc. Lord Shiva and Lord Vishnu incarnations, Lord Brahma, Lord Ram, Balram, Parshuram, epics from Mahabharat, Ramayana and Lord Krishna’s life are very well preserved . 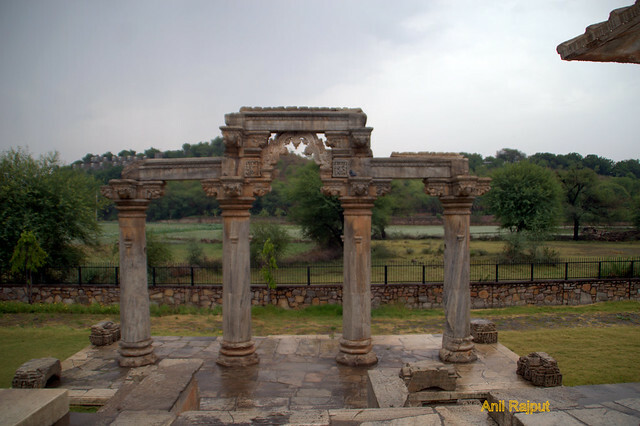 The mandap of Sahastrabahu temple is beautiful carved pillars and Toranas , the carvings are of Lord Shiva with Parvati, Godess Chamamunda , Godess Ma Kali, Godess Ma Mahishasur Mardani . 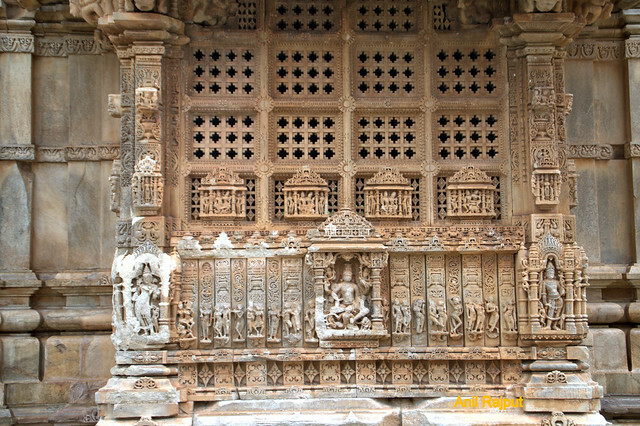 The walls above the Tornas are carved with epics from Ramayana and Mahabharat. 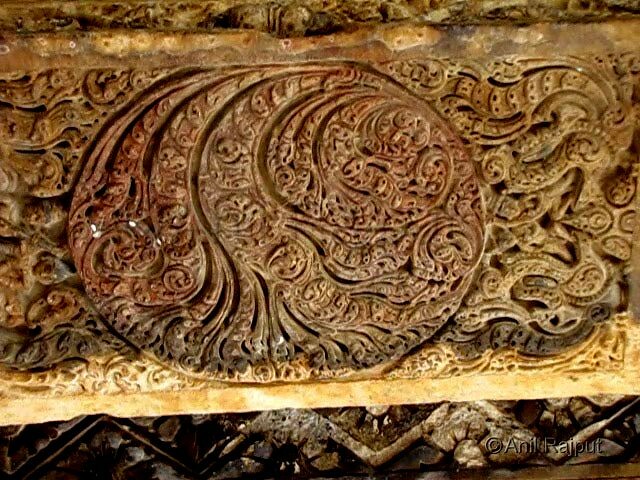 The ceiling above in the Mandap is beautifully carved lotus flower floating in a water pool . 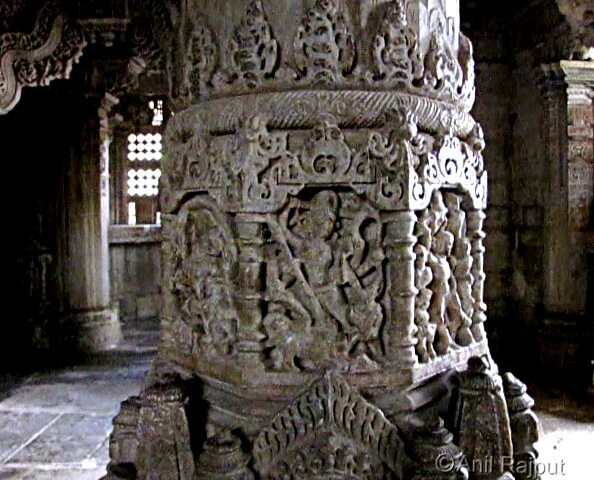 One of the Mandap pillar carved to show Ma Mahishasur Mardani . 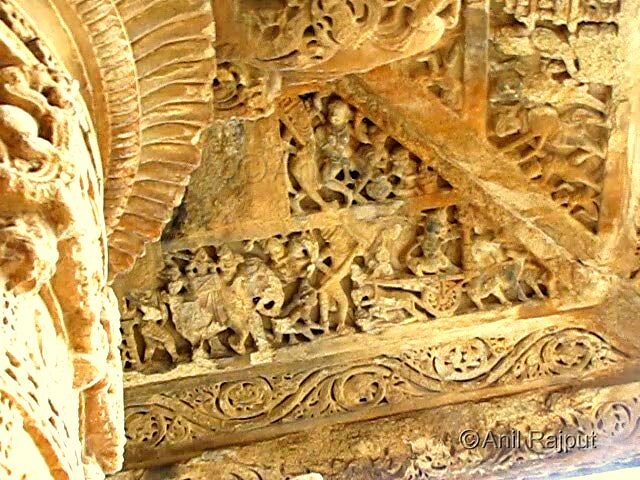 The projections of the roof plate ( chajja) depicting the Lord Krishna and Arjun on a chariot at Mahabharat battle field. 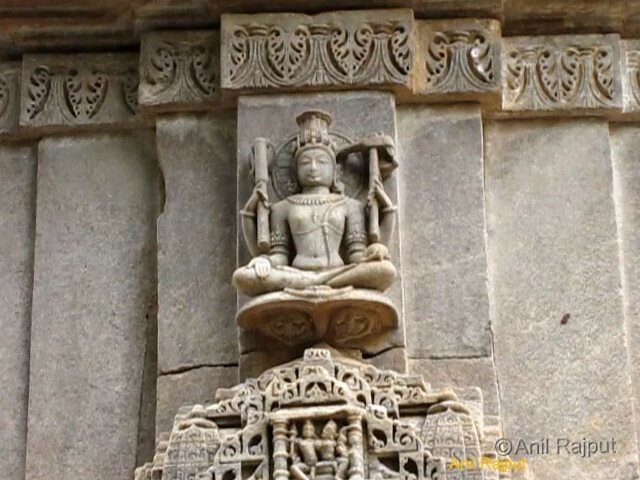 One of the rare carving of Lord Shiva with four hands one of the left hand is carrying a skull trident in right hand and other two arms are carrying flowers , it is showing lord Shiva’s body skin of a snake with scales . Just above the lord Shiva statue is the Balram , lord Krishna’s brother carrying a club and a plough in his hands, sitting in deep meditation . 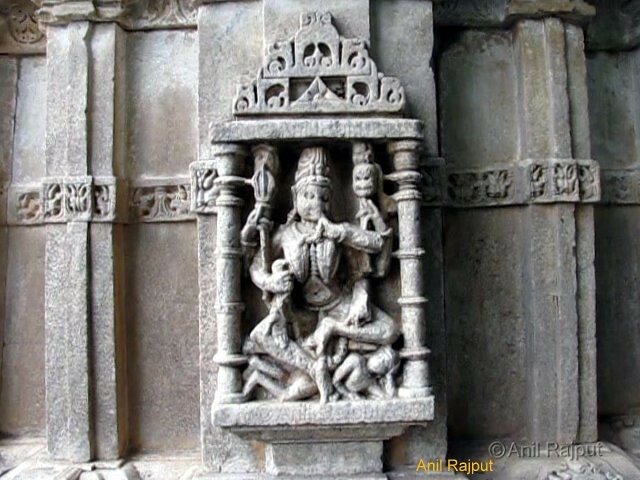 One of the outer wall is having Ma Kali with a skull in one hand a trishool in another hand and lord Shiva is lying on the ground with Ma Kali above the lord. 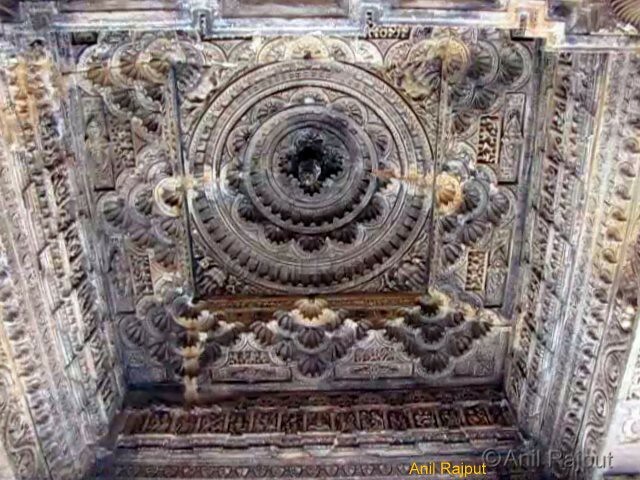 Kalpavirksha or Kalpa padap is a divine tree as per the Hindu mythology , it is carved in the inner wall of the temple, it is said it is a wish fulfilling tree. 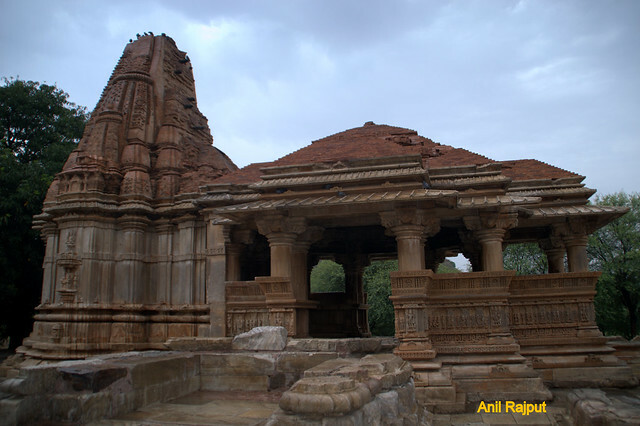 Ravaged and plundered by the invading Muslim armies in the 14th century, this temple has survived the turns of history gracefully. Worth visiting for its architectural beauty .